A group of migrant steel workers from the Toledo area of Spain were working their passage to the United States, with the intention to sail from Liverpool to New York. They joined Richmond Manufactory where their skills with steel were put to good use replacing the traditional wooden strongboxes with all steel reinforced strongboxes. The Richmond Safe Co was set up and was in the family ownership of John R Solomon. The Company supplied the maritime trade between England and the United States with iron banded or iron clad wooden strongboxes and seaman&apos;s chests. The company name changed to Withy Grove Stores and was used for all three companies based in Liverpool, Manchester and Leeds. 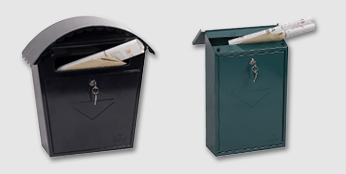 We began to design and patent steel safes, strongboxes, fire safes and vaults many of which are still in use today. The patents were received for the first stitch bolt safe and double bitted lock. Opened National Sales, Service and Logistics Centre in Lebanon, Indiana, USA. Phoenix is now the largest manufacturer of data safes in Europe with a broad range of products encompassing small domestic data protection products through to the largest Commercial and Banking storage requirements. Opened Regional Sales and Service Office in Verteuil sur Charente, France. Phoenix Safe Company is one of the oldest UK manufacturers of safes and security products and can trace its history back to Liverpool in 1799. At that time it was known as the Richmond Safe Co Ltd and was supplying the maritime trade between England and the United States with iron banded or iron clad wooden strongboxes and seamen’s chests. In 1723 a group of migrant steel workers from the Toledo area of Spain, were working their passage to the United States, with the intention to sail from Liverpool to New York. They joined Richmond Safe Co Ltd where their skills with steel were put to good use replacing the traditional wooden strongboxes with all steel reinforced strongbox’s. The demand for these new secure strongboxes grew with the increasing wealth and expansion of the maritime role of Liverpool as the major English port shipping goods and commodities to the United States in return for cotton for the Lancashire cotton mills. In order to reflect the increased emphasis on security products the company was renamed in 1850, the Withy Grove Stores and began to design and patent steel safes, strongboxes, fire safes and vaults many of which are still in use today. They became, with the famous Milners Safe Company of Liverpool, among the best known British safe manufacturers from the 1850s through to the 1970’s, when rationalisation of the safe industry led to the loss of many of the traditional manufacturers. In parallel to the development of data protection, the growth of air travel and the consequent rise in Hotel rooms has led to the development of hotel room safes. This required that three conflicting interests were accommodated in a safe. The safe had to be aesthetically pleasing to the eye. This was done by laser cutting doors which became oval or elongated, curving the front of the safe and softening the touch. The safe had to be simple, convenient and easy to use. Ease of use was accommodated by a motorised locking mechanism, digital locks with credit card reader and self opening doors. The safe should compliment the room. As a furniture item the safes had to be coordinated to the particular brand of the hotel. These three criteria had to be included into the design, with no loss of security for either guest or hotel management. An additional factor was the need for management control over a resource used by any number of different individuals and the potential for loss through unauthorised access. To this end the locks were given an audit trail function with the ability to record the date and time a particular lock was opened and record the code or credit card that opened the lock. This facility for the management to interrogate the lock and establish the method of opening completed the security circle and offered significant benefits to both guest and management. The latest innovation to change the way we view security, is biometric technology which uses either fingerprint or iris recognition to take the place of key to open a lock. 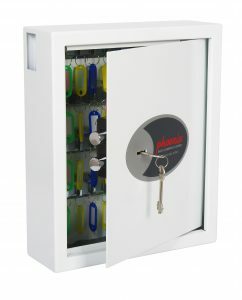 While this relatively new and sophisticated technology is in its infancy the costs may outweigh the benefits, however, increasing use will undoubtedly reduce this cost and at Phoenix we are proud to be able to announce a world first, our 2250 Series Excel Fire Filing Cabinets can be fitted with a Biometric Finger Print Recognition lock and will set the design for the future. 1723 A group of migrant steel workers from the Toledo area of Spain were working their passage to the United States, with the intention to sail from Liverpool to New York. They joined Richmond Manufactory where their skills with steel were put to good use replacing the traditional wooden strongboxes with all steel reinforced strongboxes. 1799 The Richmond Safe Co was set up and was in the family ownership of John R Solomon. The Company supplied the maritime trade between England and the United States with iron banded or iron clad wooden strongboxes and seaman’s chests. 1850 The company name changed to Withy Grove Stores and was used for all three companies based in Liverpool, Manchester and Leeds. 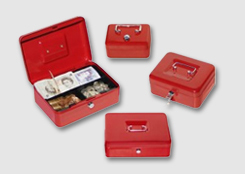 We began to design and patent steel safes, strongboxes, fire safes and vaults many of which are still in use today. 1890 The patents were received for the first stitch bolt safe and double bitted lock. 2001 Opened National Sales, Service and Logistics Centre in Lebanon, Indiana, USA. 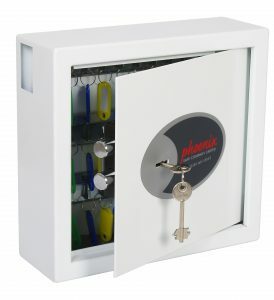 2010 Phoenix is now the largest manufacturer of data safes in Europe with a broad range of products encompassing small domestic data protection products through to the largest Commercial and Banking storage requirements. We are now a world leader manufacturing and distributing a range of state of the art safes to suit all requirements, ranging from residential to commercial security and or fire protection. We specialise in vital records protection for both paper and computer media forms. Our product is in stock and normally ships within 24 – 48 hours from receipt of order. 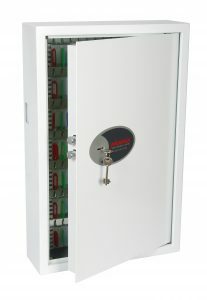 All of our fire resistant safes are independently tested to European and American test standards. All fire resistant files and safes carry a life-time after-the-fire replacement warranty. We welcome the opportunity to help you secure your most important items!